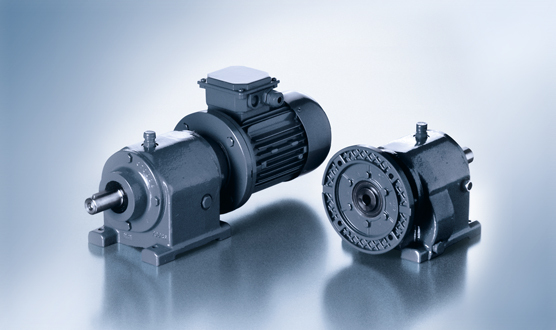 The Walther Flender helical gears are designed to match high standards of output rotation speed, compact design and stability. The monoblock housing saves space and is very sturdy, allowing it to transfer greater strains and forces. 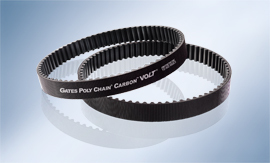 The transferable torques of the helical gear motors were determined in accordance with ISO 6336. 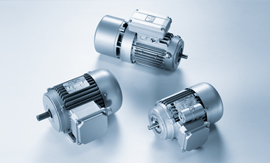 In the two-stage version, helical gear motors are available with transmission ratios of approximately 2:1 to 50:1; in the three-stage version with up to 450:1. In order to be able to withstand higher dynamic and static loads, the shafts and cogs are made of high-quality materials. 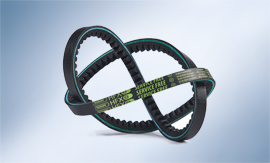 Our helical gears are designed in accordance with the modular principle, as is the entire WF gearbox range. 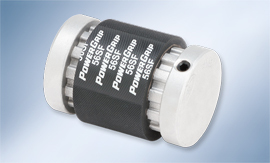 They are particularly suitable for use in such areas as chain and roller conveyors, pumps, stirrers, mixers and in the paper industry, drinks industry, textile industry and in general machine construction.